Just like the first time, everybody gathered in caffe bar Fusion, right next to the hackathon classroom. Drinks and snacks were free but to our surprise, not consumed as much as we expected. There was a problem with ideas again, we need to think of a way to help you find a great idea to build on WhoHack #03; maybe prepare some cool but easy to build list of ideas and post them on a wall (a physical one). We had somewhere over 15 people (developers and non-developers) working on something. Check the gallery and some of the projects here. iPhone app for checking live soccer scores. App is finished and will be on the Apple App Store within a month. 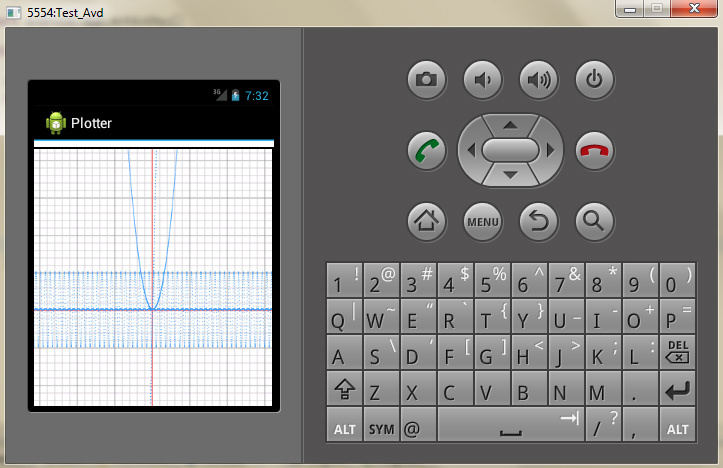 Android app with “hello [your-name]” text :) Full description and review of the WhoHack #02 can be found on his blog here. App can be downloaded here. That’s it! We have some more apps done by other developers but no files or websites to show. Keep following us! Sometime before the summer kicks in we expect even more developers on WhoHack #03 with sponsors and maybe some gifts for the winners. Cheers! New hackathon but everything different; what’s much more interesting this time is the theme of the event and the openness. Yes, this time WhoHack is open for everyone, actually up to 42 ninja developers :) and don’t worry about getting thirsty or hungry, we have you covered all day with free snacks, drinks, lunch and supper. 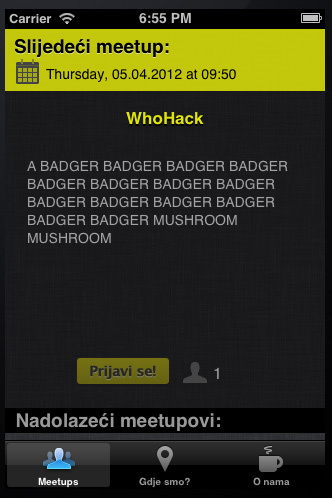 All the finished projects will be published on whohack.com, promoted via WhoAPI Blog and some domestic media. - free ticket to the Cloud & domaining event in Rijeka on June 16th 2012. Are you coming? Register here! Event is free and open to everyone. Don’t forget we’re still small. We expect you to make this event an awesome one so we can organize something even better next time. This event is backed by Enterprise Europe Network in cooperation with Science and technology park in Rijeka.